Hey y'all! I hope you are having a great week so far! This past week, I have been living in dresses because they are just super easy to throw on and go. I love layering this with cardigans and jackets to change up the look. The weather looks like it might finally start cooling down a little next week so I'm really looking forward to wearing sweaters... without sweating! I have worn this dress twice in the one week that I have owned it because it's so incredibly comfortable. 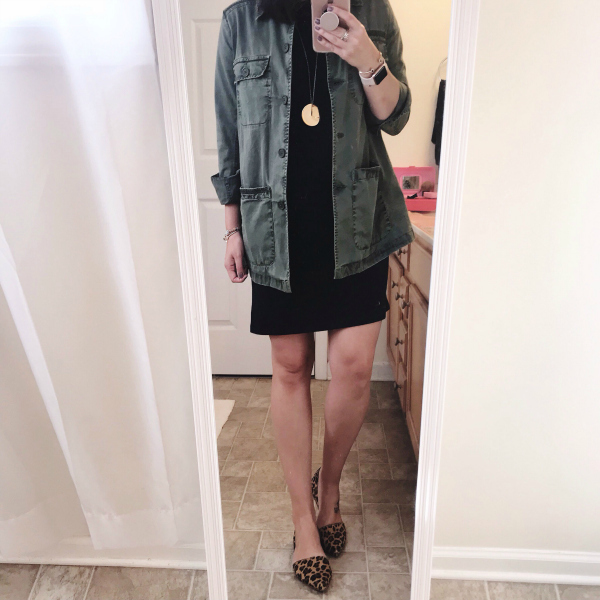 I love a basic black t-shirt dress because it can easily be dressed up or down. 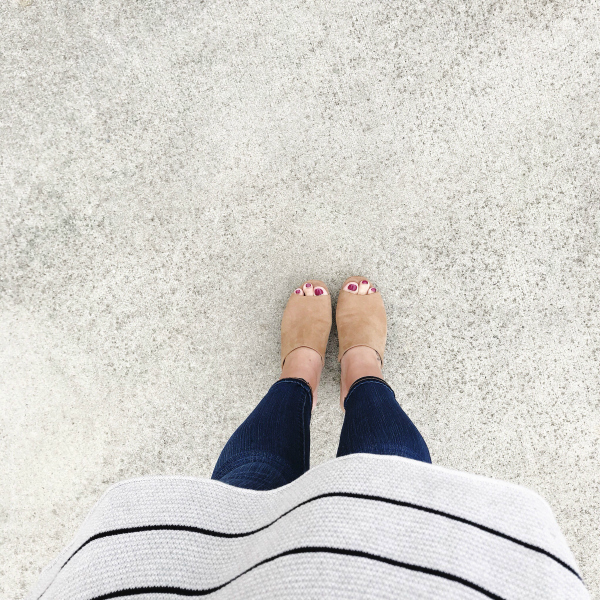 This striped tunic is one of my favorite recent Old Navy purchases. I sized up one size for the best fit. There's never a dull moment with this duo! 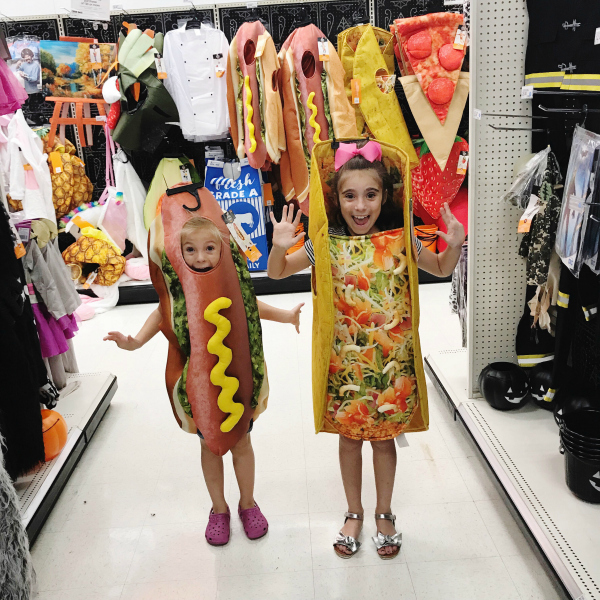 They insisted on trying on the hot dog and taco costumes at Target on Saturday night. They looked too cute! 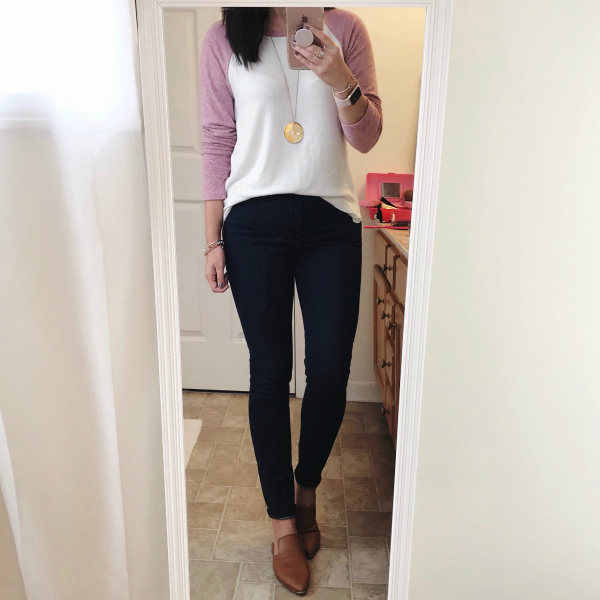 This cardigan is officially my favorite one of the season! 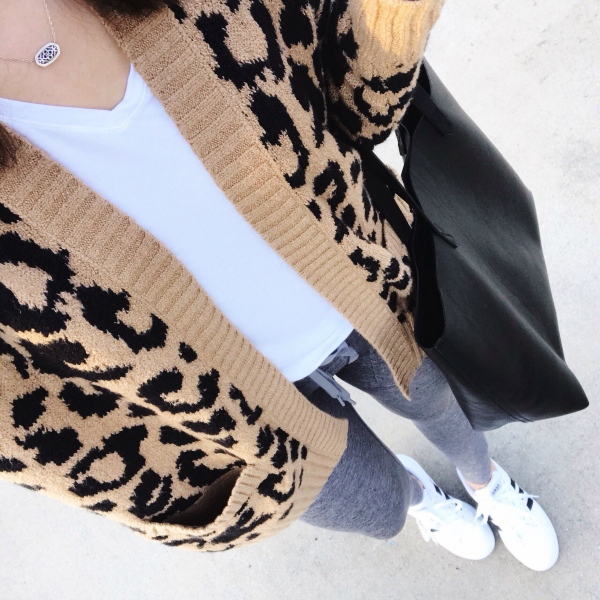 It's leopard, so super soft, and it has pockets. Who doesn't love a cardigan with pockets?! 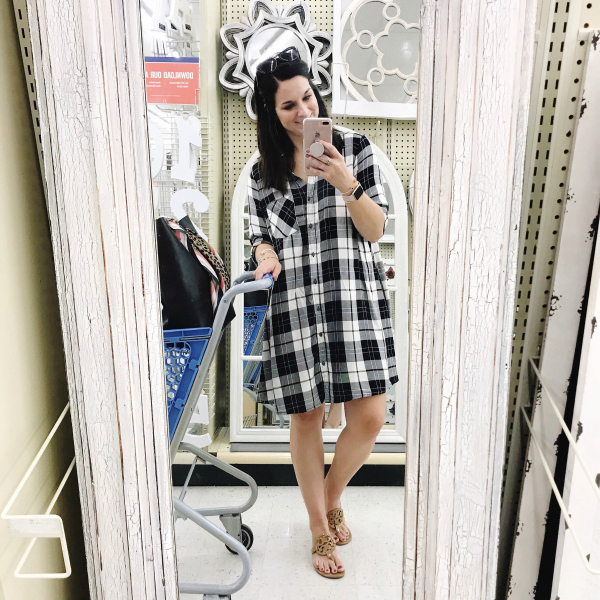 I have also been living this plaid swing dress. It's a great piece for transitioning into fall weather. It can be wear with sandals while it's warm and then boots when it cools off. 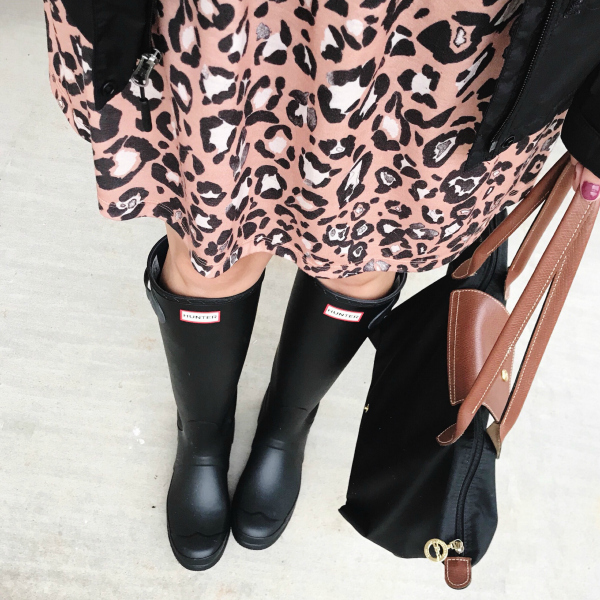 I'm so glad I finally got a black pair of rain boots because they are much easier to style than the brightly colored options that I've owned in the past. I also love them with a dress! 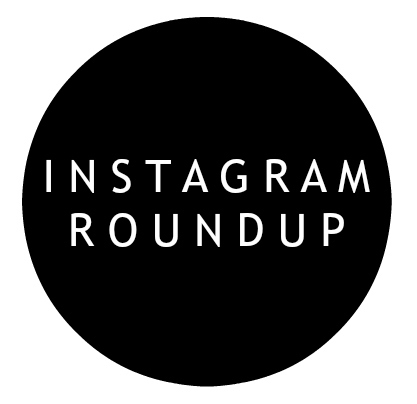 The hunt for a great pair of high rise skinny jeans is over. 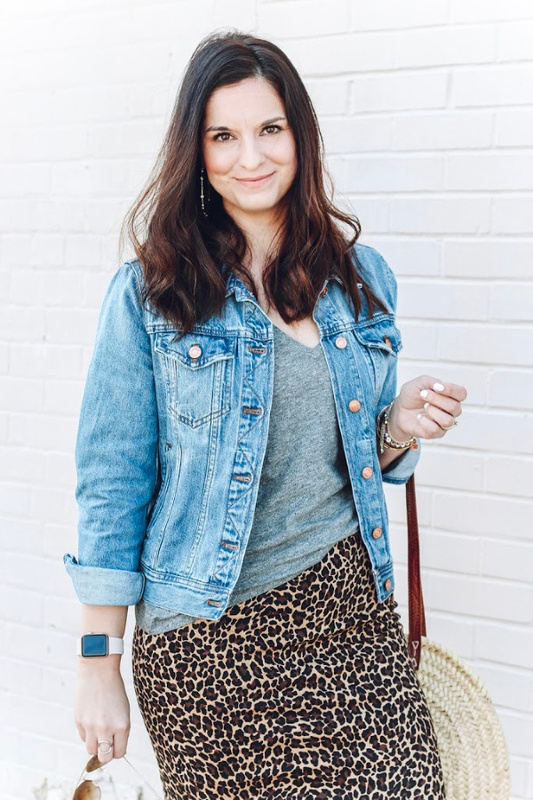 These are the perfect dark wash and are super flattering. They run true to size and have the perfect amount of stretch without being too stretchy. I am 5'5" and I'm wearing the regular length. Here's that little black t-shirt dress again but this time, I paired it with a blazer and heels to dress it up a bit for church. 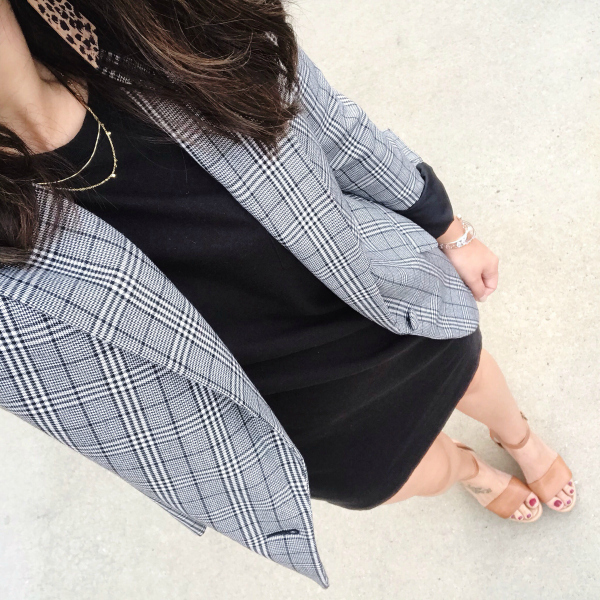 I love that this blazer works for casual and dressy looks!